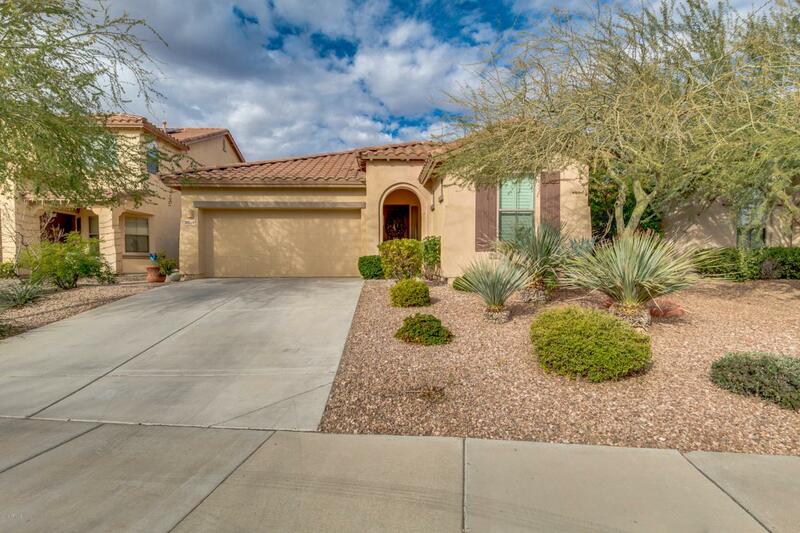 A fantastic 4 bed, 2 bath property located in Peoria is now on the market! Featuring desert landscaping, 2 car garage with built-in cabinets, formal dining and living areas, plantation shutters throughout, and designer paint, this home is sure to be the one you've been looking for! The luxurious kitchen is comprised of ample cabinetry with granite countertops, a pantry, recessed lighting, and a lovely island with a breakfast bar. Inside the stunning master bedroom you will find a full bath with double sinks, separate tub and shower, and a spacious walk-in closet. The expansive backyard, with its covered patio and seating area, is perfect for spending a relaxing afternoon with friends and family! The good ones never last, don't waste any time and schedule a showing today!